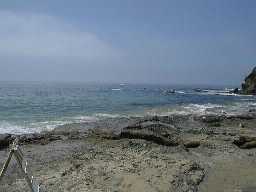 To get to Shaw's Cove in Laguna Beach turn south on Wave St from Pacific Coast Highway, Wave will "T" into Cliff Drive. 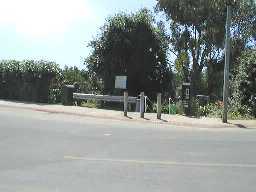 From this point look to the left or right for parking, to the right is closer to the beach access. The parking is available at Shaws Cove on a first come first serve basis. There are no parking meters to pay, but there are several fire hydrants and private driveways. If you park near either one you WILL get a ticket! Please remember that this is a private residential area. Be very courteous to the neighborhood, quiet and discreet. 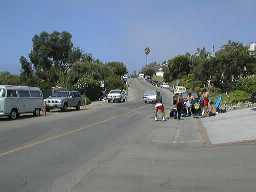 Beach access is available from a stairway at the street level down to the shoreline. 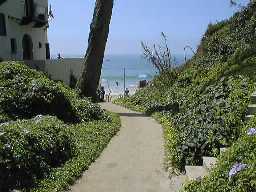 The path is narrow with lots of foliage on either side all the way down to the beach. When you get to the sand there is more room for towels and gear on the left side but most people dive on the right side. 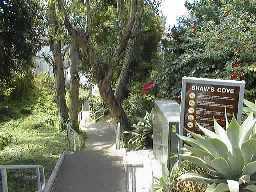 The only Facilities available at Shaw's Cove is a telephone at the top of the stairs (same way you accessed the beach). There are NO bathrooms, showers, tables etc. The telephone, however is nice for emergencies.